Prof. Angie Wang joined the School of Accountancy in July 2017. 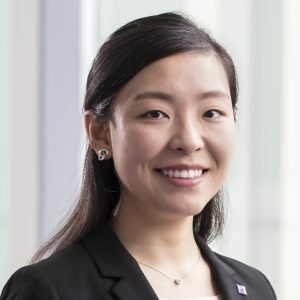 She received her PhD in accounting from the University of Florida, and obtained a Bachelor of Business Administration in Accounting and Finance, a Bachelor of Science in Applied Mathematics, and a minor in Japanese language from Emory University. Her primary research interest is in the area of financial accounting. She is particularly interested in firms’ financial reporting and disclosure choices, and the relationship between mandatory and voluntary disclosures. Prof. Wang has experience teaching financial and managerial accounting.